Jessica Barojas was raised in Horry country, graduated in the top 10% of her class with honors from Conway high school in 2013, attended the Palmetto School of Career Development and now works in the dental field. Has been an active advocate for immigration rights and fights for equality. From a young age she always spoke out against injustice and discrimination by voicing her opinion and writing letters to politicians. 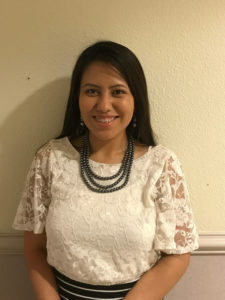 She also volunteers at local elementary schools to help ESL students, and promote the importance of education to young students. Dedicates her free time to volunteer at local charity events through her church.